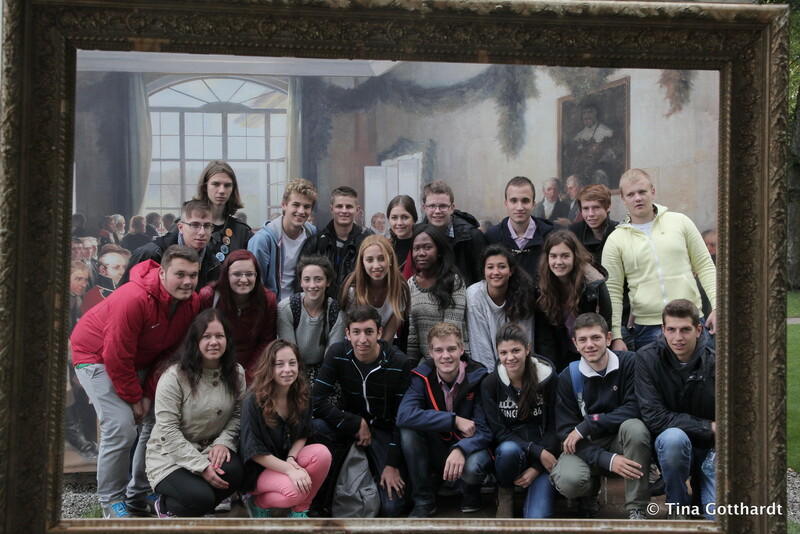 The guided tour started with us having to put funny socks on in order not to ruin the floor. Even the staff of Eidsvoll House had to wear gloves before even touching anything at the mansion. 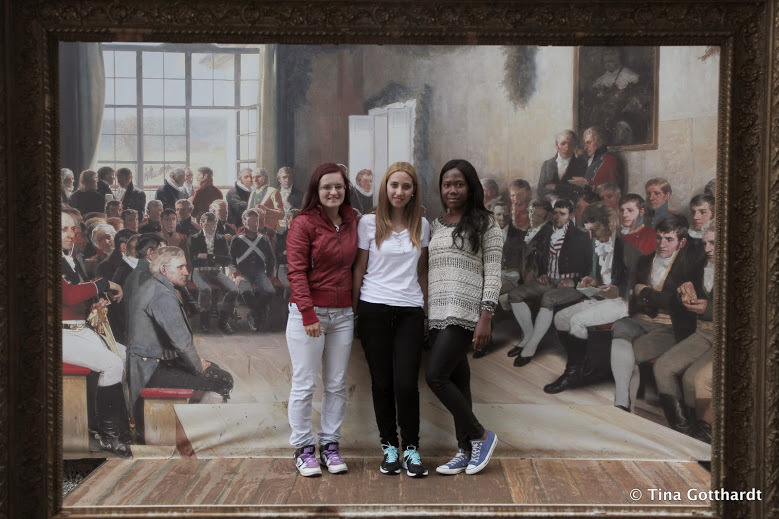 Actually, we have to be precise: even though the owner of the Eidsvoll House was the richest man in Norway the house can still be considered as modest compared to other noble men at that time, something that illustrates again, that Norway was quite a poor country back then. We were really impressed by the symmetry of the construction inside the house. The architect used wood for columns but made it look like marble, something the owner of the house couldn’t afford. 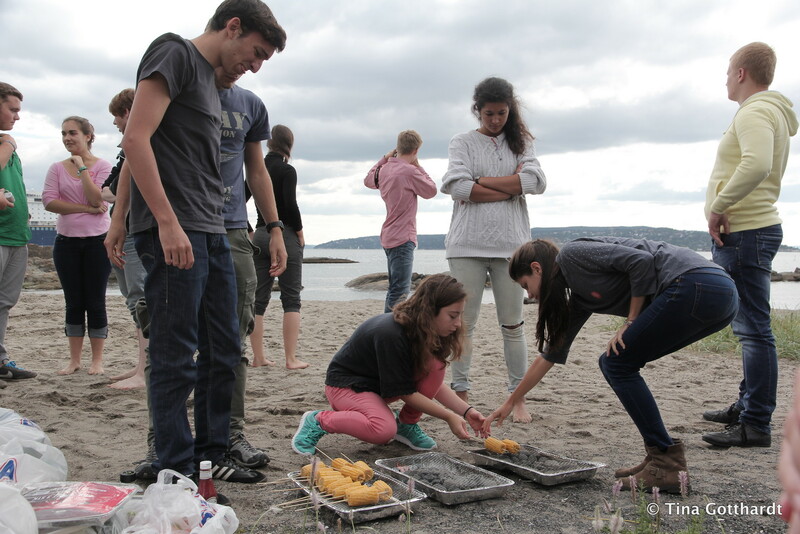 After an educational morning we decided to have some fun and went to a beach to have a barbecue. Our three Italians Leonardo, Pietro and Giulia were in charge of cooking with their Israeli assistant Shir. As a dessert we made ourselves some smores. For those of you who are not familiar with that was this fabulous dessert. Smores are sandwiches made of cookies and hot marshmallows you should try it yourselves. We also visited the Vikingship Museum. Some members of our group liked it and some of them said that it’s not their kind of thing. But we had some time to make nice pictures and observe the large Viking ships. Later at the hotel we split up to groups and after discussions among ourselves we presented 5 questions/dilemmas of democracy and the role of media in front of everyone. Afterwards we started preparing material for the online magazine and the debate continued. And who knows..maybe we will have another dance session into the night.. 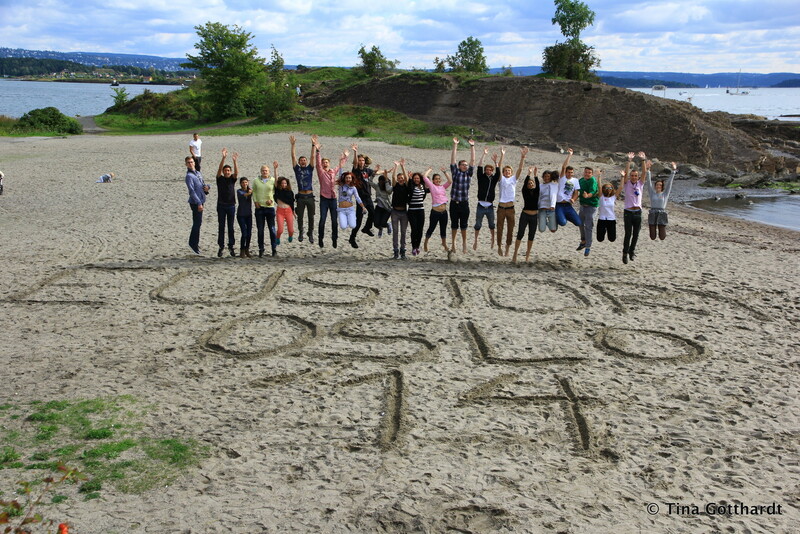 This entry was posted in History Camp Oslo 2014 and tagged Eidsvoll, history, Vikings. Bookmark the permalink.